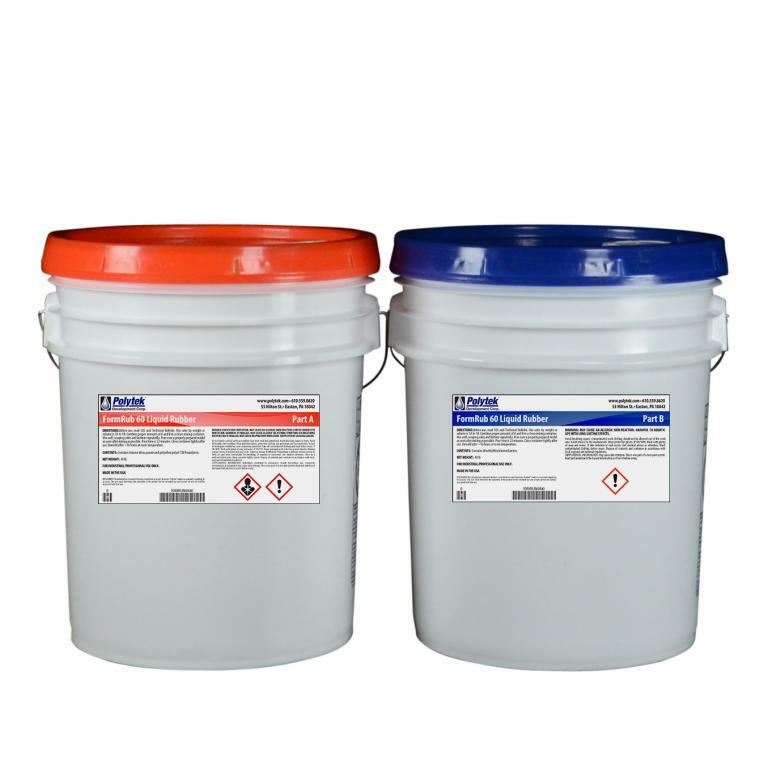 FormRub 60 is a 1A:1B mix, A~60 hardness, low viscosity, firm, polyurethane mold rubber that has a 10 minute pour time and a 4 hour demold used for making tough, durable molds for casting plaster, wax, concrete and resins. Used mostly for casting concrete, this rubber has high abrasion resistance and long mold life. Used for casting, forming and texturing concrete countertops, precast architectural panels, sound barriers, fences, pavers, slabs, patio stones, retaining wall block and for all other types of cast stone and GFRC applications.